The founder of Guinevere, French born Genevieve Weaver, trained as a hat designer in Paris in the 1950’s. Having moved to London and started a family, she became drawn to the world of antiques. She opened Guinevere Antiques in 1963, in what was then, the disreputable end of the famous Kings Road, Chelsea. Today, the store is very much at the ‘right’ end of the Kings Road, and is surrounded by art galleries, smart restaurants and interiors shops. Guinevere is now run by Genevieve’s sons, Kevin and Marc Weaver. Her philosophy was one of mixing different styles and eras of furniture together – Ancient and Modern, East and West. Kevin and Marc have taken up these forward-thinking ideas by several notches. Their flair for combining styles of furniture and objects is still revolutionary in the antiques trade. 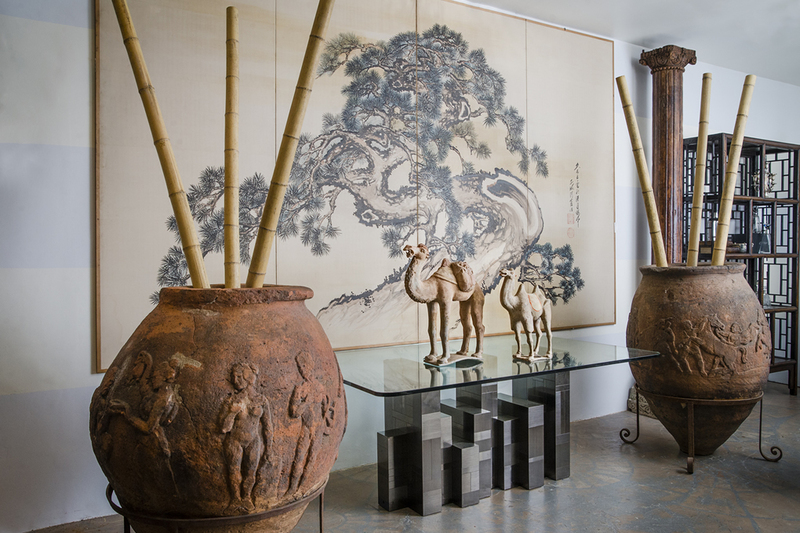 Guinevere Antiques now consists of four adjoining shops (and windows) on the Kings Road, and has an international, loyal following of private collectors and the worlds best interior designers. The Guinevere staff are approachable and friendly, known for their expertise and taste, but most of all, their attention to detail and customer service.